Crystal grids are effective for transforming your life in a dazzling array of powerful and practical ways. Whether you desire to find love, attract wealth, bless your home, overcome anxiety, or clear negative energy, the crystal grids in this book will help you achieve your goals. 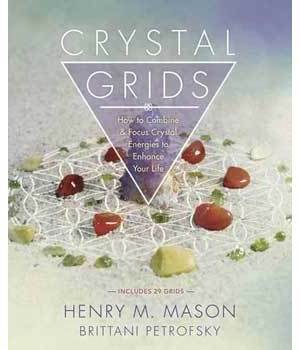 With simple instructions and comprehensive insights, Crystal Grids shows you how to choose the best crystals for your purpose, select a grid shape that will enhance your intention, clear and position the stones, and activate the grid. Discover how you can use crystal energy for improved health, wealth, relationships, and a better life. This book also includes twenty-nine expertly designed grids that you can use immediately to reinforce and magnify the power of your crystals.